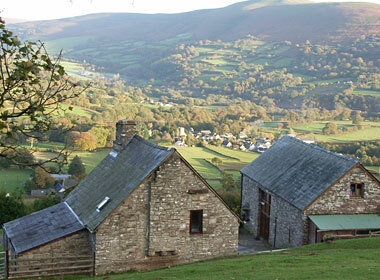 Perth-Y-Pia Outdoor Centre, Brecon Beacons, Powys, sleeps 14-37 in 9 bedrooms. 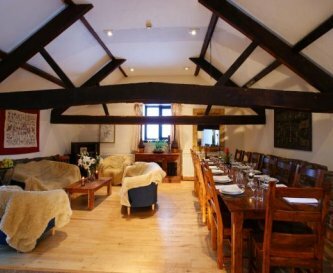 Perth-y-Pia is a stone built, 15th century farmhouse and barn sitting on the slopes of Table Mountain. 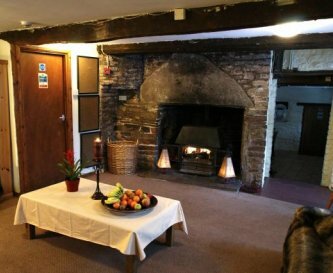 The buildings have been renovated to provide comfort and homeliness, whilst retaining original features such as oak beams, an old hearth and a bread oven. 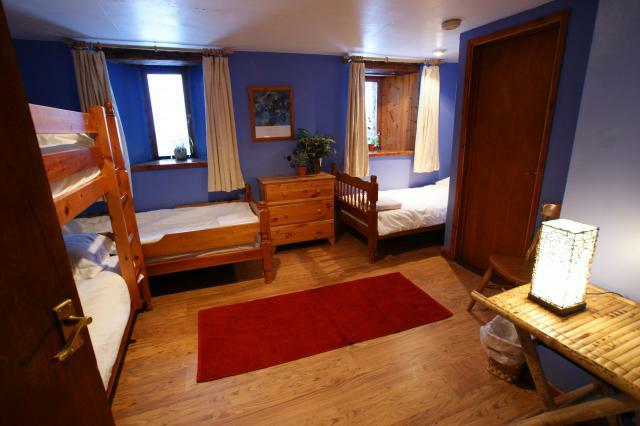 All rooms in the barn offer en-suite facilities and there are spacious living areas. 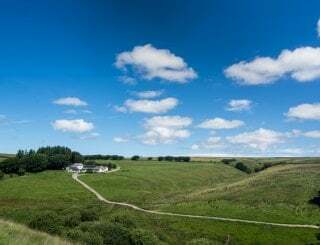 Guests have access to acres of farmland, with the open hill just one field away. 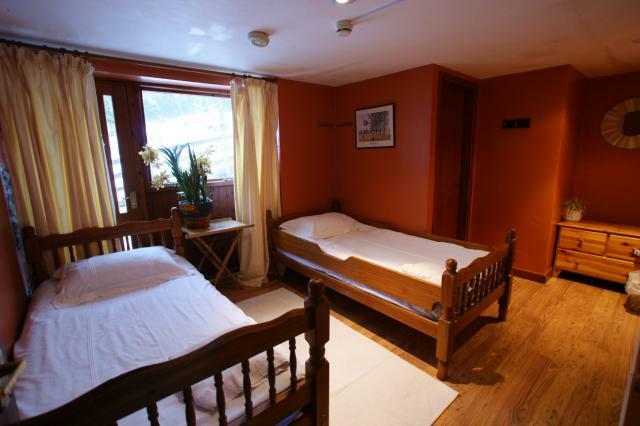 Perth-y-Pia offers an unrivalled location for groups who enjoy the outdoor life. 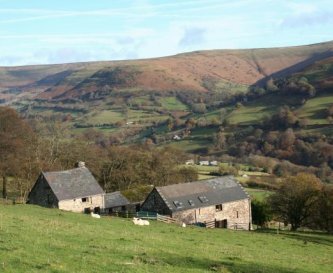 In the heart of the Black Mountains, you can enjoy miles of unspoilt countryside on foot, mountain bike or on horseback. 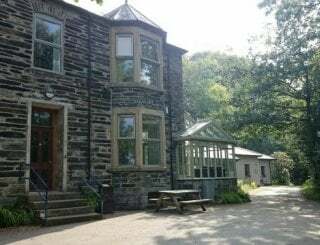 School parties can study a variety of landforms on the doorstep and the industrial archaeology if the coal mining valleys provides an excellent study area. Please contact us for information about special services we can provide for business groups. 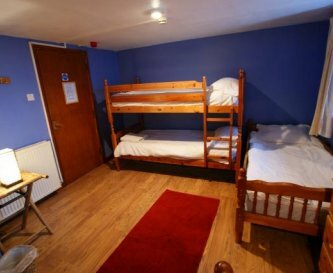 Well equipped, with electric ovens, gas hobs and dishwashers. Seats up to 34 in the barn and 16 in the farmhouse. 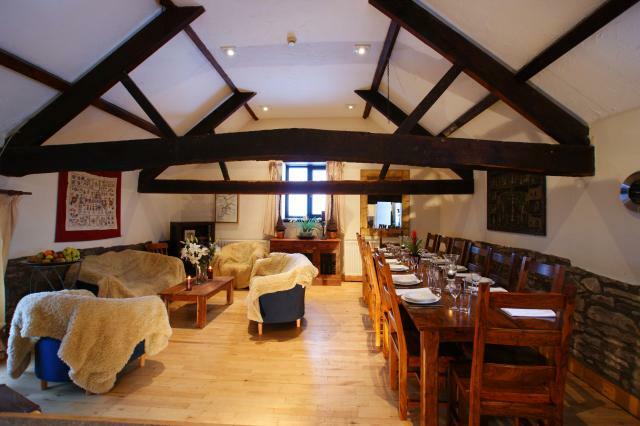 Barn has open plan living/dining area. Farmhouse has separate living and dining areas. No TV, music players only. Oil central heating, Log Burner in the farmhouse. 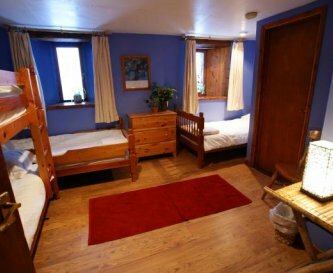 4 Rooms sleeping up to 21, in the Barn. 5 rooms sleeping 16, in the Farmhouse. 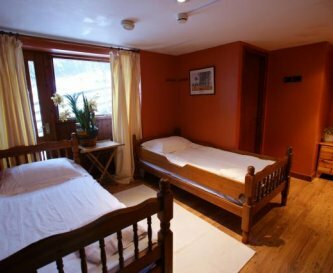 All en-suite in the barn, 3 separate showers and toilets in the farmhouse. Children's cots and highchairs available. 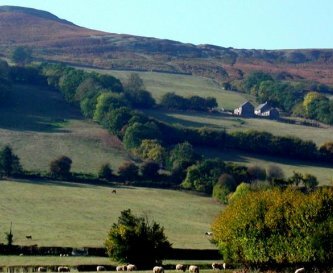 Acres of farmland and woodland. Fire Pit at rear Farmhouse. Built in Barbeques on yard. Not on site but Abergavenny (8 miles) Brecon (16 miles) both have leisure centres. Parking for upto 8 cars per building. 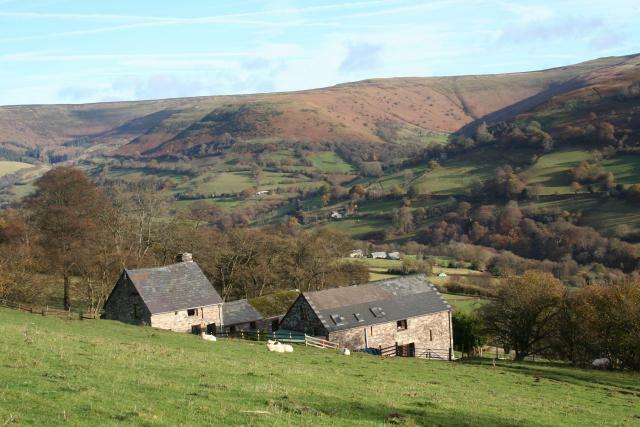 In the heart of the Black Mountains, Brecon Beacons National Park in Wales. 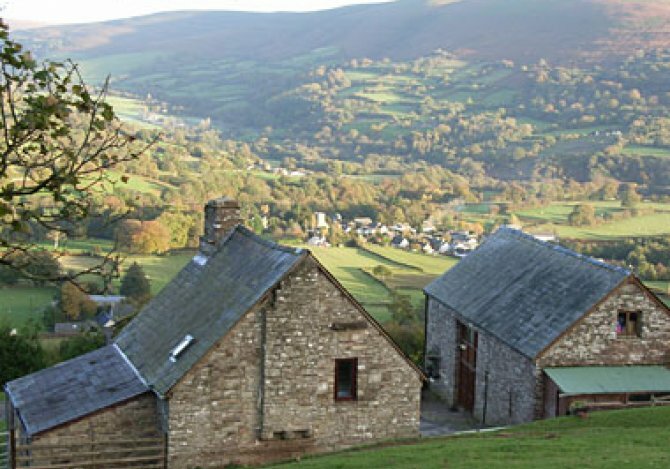 The historic Market Town of Crickhowell is 2.5 miles away with great shops and fantastic eateries. Crickhowell 2.5 miles. 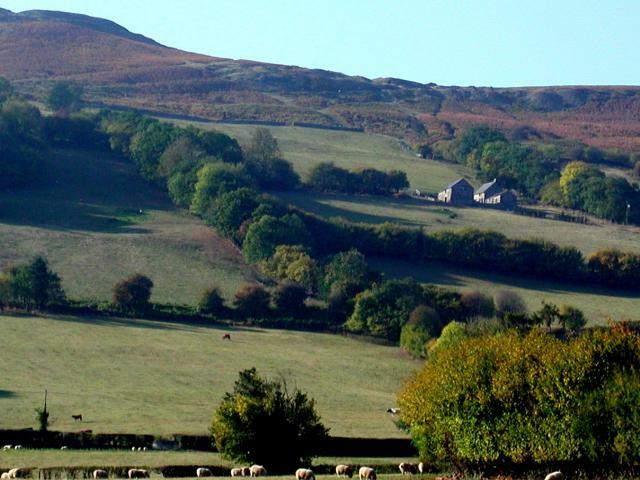 Abergavenny 7 Miles. 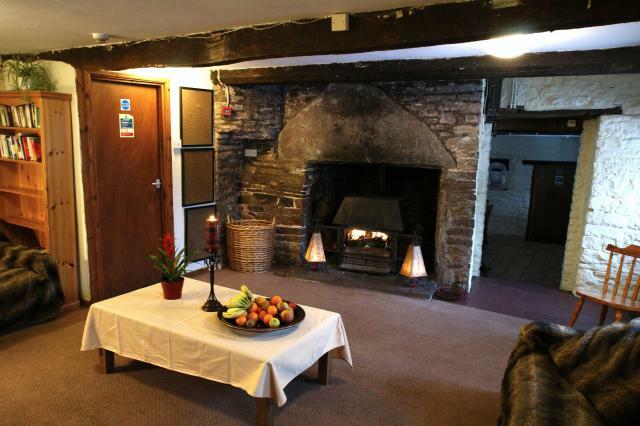 The Red Lion in Llanbedr 1 mile. 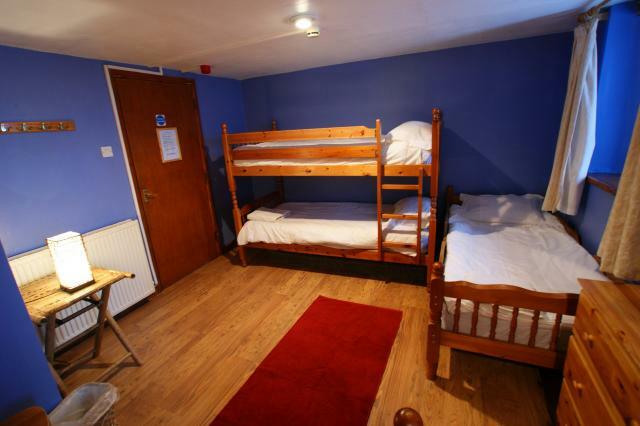 Please contact for rates for booking both buildings, or longer durations, or youth groups. Regular bus routes through Crickhowell (2.5 miles).